I have caught the summer fever and am ready to get out and dust off the grill. 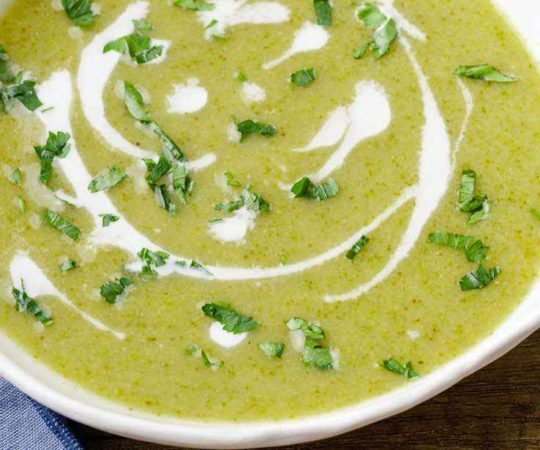 This bright, flavorful recipe is perfect for getting into the warm weather mood. 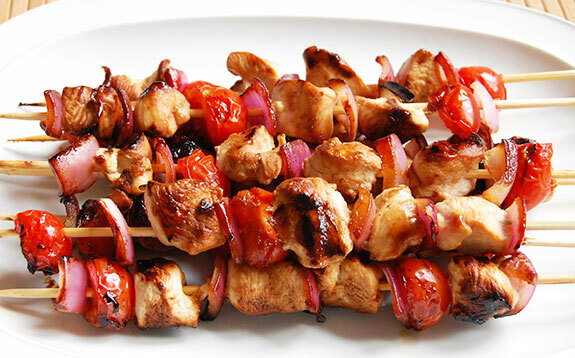 Pineapple, red onion, and cherry tomatoes are served alongside chicken to make these delicious kebabs. 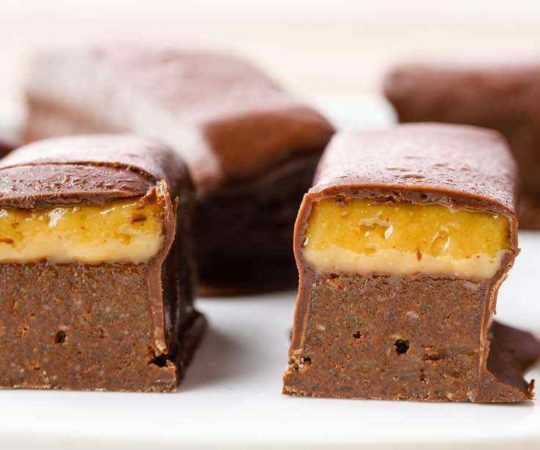 This recipe is ideal for grilling out or picnics. 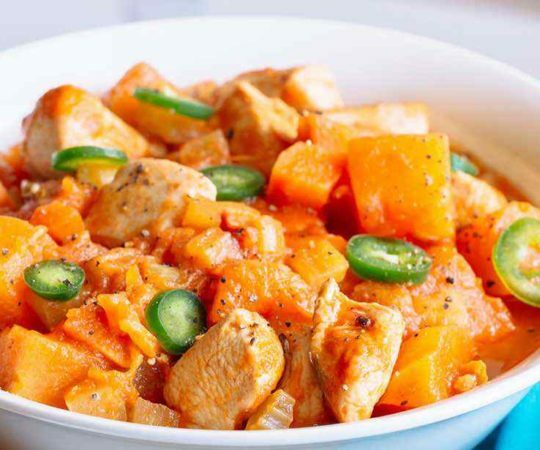 The chicken can be marinated ahead of time, absorbing a ton of flavor, and the veggies can be pre-chopped and ready to go. The pineapple can also be grilled but I haven’t quite perfected that yet. I like to serve the kabobs either with a side salad or over rice to balance out the meal. The marinade for these kabobs is made of simple ingredients. Saltiness from coconut aminos, sweetness from honey, a bit of sesame oil, and ginger for a pop of flavor. Let that all soak into the chicken for at least two hours to make it tasty and tender. Then the chicken is ready to be skewered and sent to the grill. Growing up in Wisconsin, I did have those few (crazy? brave? determined?) family members who were dedicated to grilling all year long, even through the cold winter. They would put on their snow boots, step out onto the deck and into the snow, and flip the steaks or burgers for dinner that night, which would taste extra good because of the effort. I realize this kind of behavior is not the usual story, and so right around now, when the weather is starting to be sunny and 70 degrees, people bring their grills out of hibernation. At least, that’s what I can smell as I walk down the block on a warm Saturday evening. If I’m not already eating grilled food, at that point I sure wish that I were. So here is a recipe to get the grilled fired up for, to enjoy with friends and family, and celebrate the return of summer. 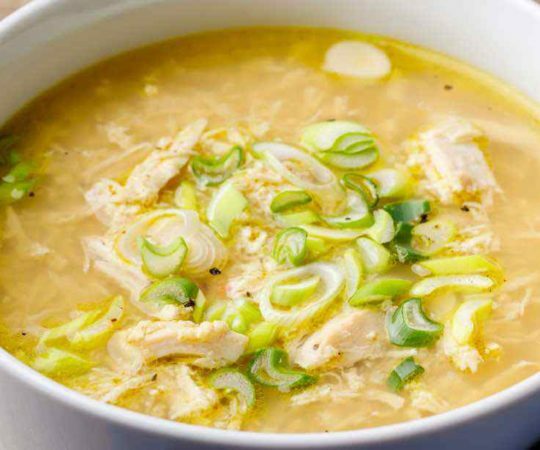 In a small bowl, mix together the coconut aminos, honey, vinegar, sesame oil, ginger, and garlic powder. Place the marinade and chicken into a large Ziploc bag and toss to coat. 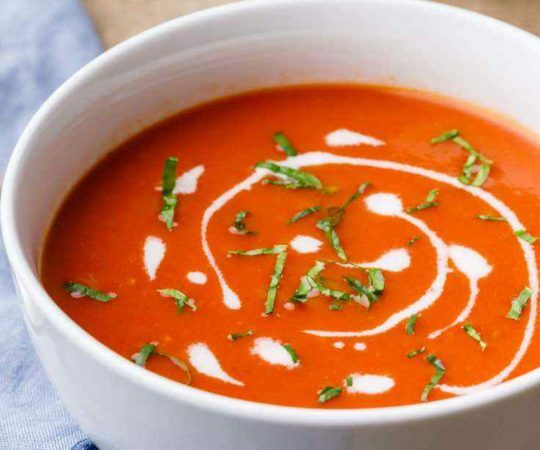 Marinate in the refrigerator for at least 2 hours. 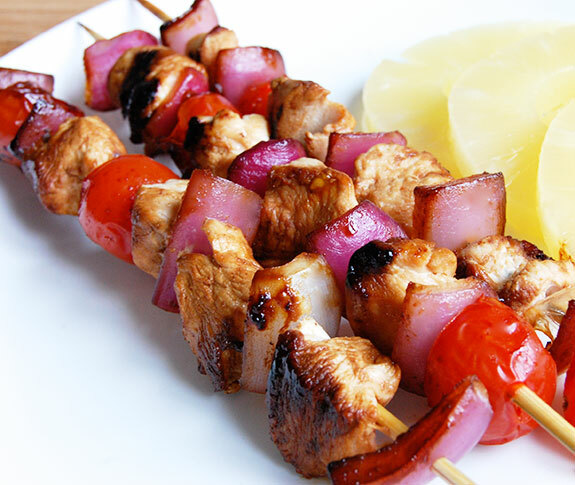 If using wooden skewers, soak in water for 30 minutes. Preheat the grill to medium-high heat. 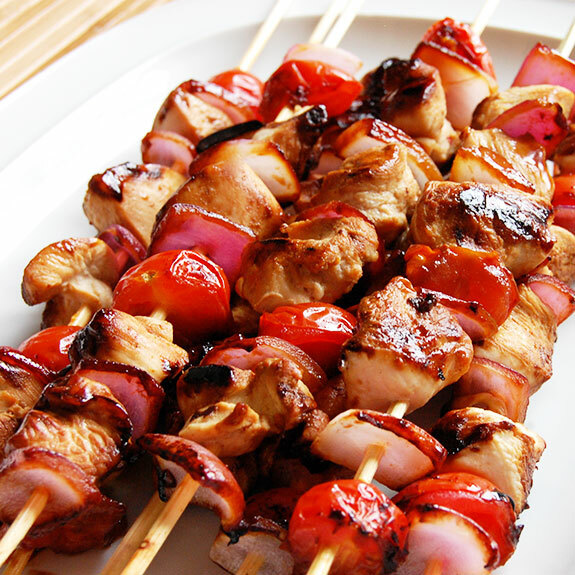 Place the marinated chicken, red onion, and cherry tomatoes alternately onto the skewers. Brush the chicken with any remaining marinade. Grill the kabobs for approximately 8-10 minutes, turning occasionally, until the chicken reaches desired doneness. Serve warm with pineapple. I love your family’s dedication to grilling despite the cold! Reminds me of myself hehe. 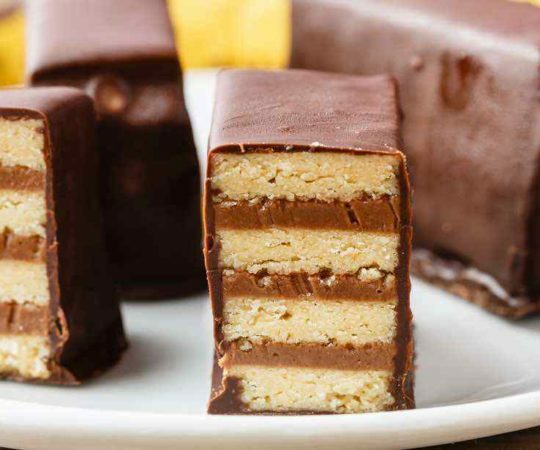 Great recipe, the photo’s look amazing! Can’t wait to give it a go. I notice there are many recipes with coconut….can olive oil be substituted for coconut….I cannot eat coconut?